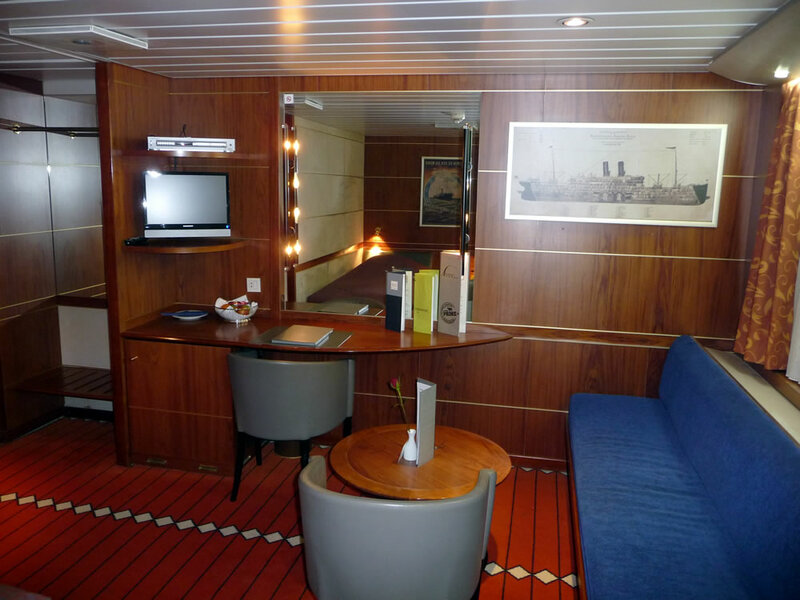 Commodore De Luxe is part of the Premium class of cabins on DFDS and is the most luxurious type of cabin available. They are more expensive than standard cabins but are they worth paying extra for? These cabins can accommodate up to three people and are very spacious cabins compared to the Standard and Economy cabins. 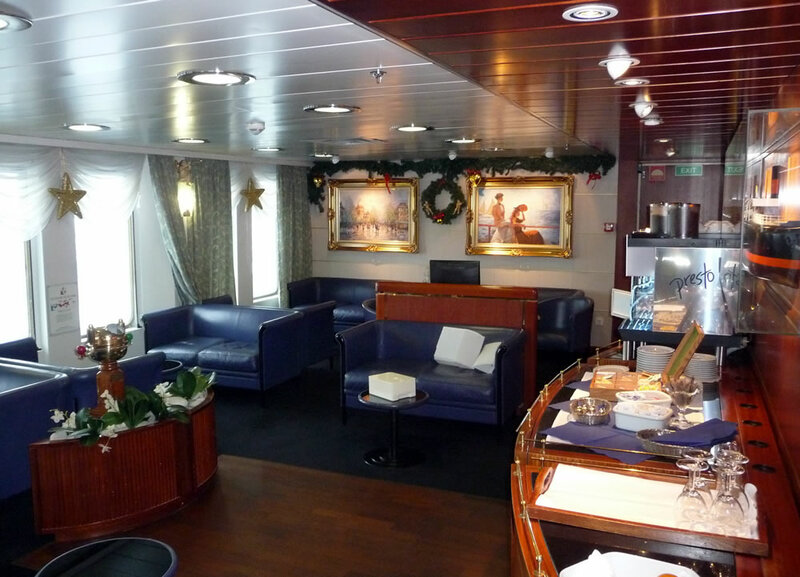 Private access to the Commodore De Luxe Lounge is arguably the greatest benefit of sailing in Premium class. Only Commodore De Luxe cabin residents can use the Lounge making it a secluded getaway from the hustle and bustle around the ship. Enjoy comfortable furnishings, complimentary wine, beer, tea and coffee, browse through a selection of newspapers or get a bit of work done at the work desks. If you need to go on the web you'll find a wired internet access here. Is it worth the cost of upgrading? If you would like a bit more space and want to travel in a bit more style then the upgrade is definitely worth it. Access to the cosy and quiet Commodore De Luxe Lounge is a great bonus, and you can find drinks and light snacks there. In terms of the cabin the extra space is noticeable and worth paying for. If the cost is a little too much for a return sailing in Commodore De Luxe Premium class then consider sailing in Premium class one way. That way you get to enjoy the wonderful experience either on your way over to Amsterdam or on the way back, but at a fraction of sailing both legs of the journey in a Premium cabin. 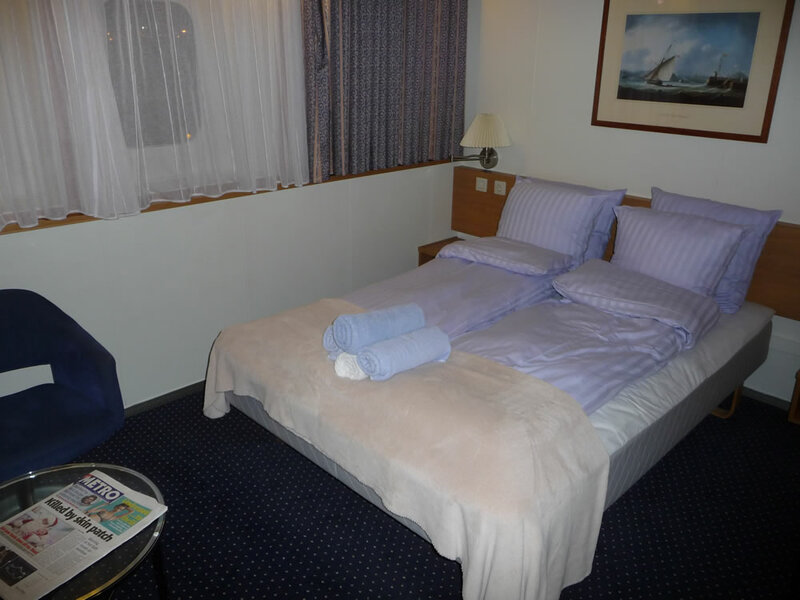 For passengers on Princess Seaways, the highest grade of cabin available is Commodore Plus. These cabins are sold with double beds which cannot be split into singles. Also, there's no Commodore De Luxe Lounge on Princess Seaways so that is something worth bearing in mind. The noticeable lack of a private lounge makes this question a little trickier to answer. When you upgrade you are simply paying for more cabin space so the option to upgrade would depend on how much time you expect to spend in your cabin. Sailing in a Commodore Plus cabin will certainly be more comfortable than in a Standard grade of cabin. Personally, it would depend on the quote and the cost to upgrade. If the figure was a nominal amount then I would jump at the chance but if it was more than three figures I would be hesitant. Find out more about the Premium range of cabins aboard DFDS ships here °.